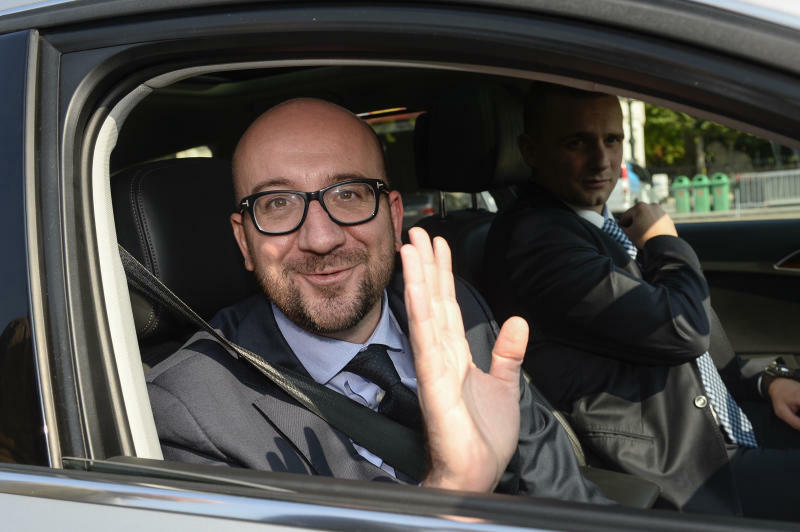 Brussels (AFP) - Belgium ended a five-month spell without a government on Tuesday after the main centre-right parties agreed to form a coalition with French-speaking liberal Charles Michel as prime minister. Michel -- who at 38 will be one of Europe's youngest leaders -- said the coalition would bring Belgium's budget back into the black and pursue reforms including raising the pension age. He replaces the socialist Elio di Rupo, who had been in a caretaker role since the national elections on May 25 produced a typically inconclusive result in a country bitterly divided between Flemish and French speakers. The breakthrough came after months of negotiations but is still far shorter than Belgium's previous wait for leadership in 2010, when it took politicians 541 days to form a national government, a world record. "We have made an agreement on a government and an agreement on a budget which will balance Belgium's books by 2018," Michel told a news conference after a marathon 28-hour negotiation session. The coalition agreed on Tuesday groups three Flemish parties -- the nationalist New Flemish Alliance, the Christian Democrat CD&V and the liberal Open VLD -- and Michel's French-speaking liberals. "The coalition partners proposed that I should hold the office of prime minister. I will take on my responsibilities, and the government team will have the opportunity to pay its respects to the king in coming days." Belgium's King Philippe, who plays an important constitutional role, tasked Michel and Flemish Christian Democrat leader Kris Peeters to form a government back in July. Michel said there were "important economic and social reforms" in the coalition agreement, including raising the retirement age from 65 to 66 from 2025 and to 67 in 2030. But the new government is likely to face the same problems as before, most notably the unavoidable division between Belgium's Flemish-speaking north, which tends to be more conservative, and a French-speaking, more liberal south. Over the years, greater powers have been devolved to the regions to ease communal tensions, with separate governments elected in Flanders, Wallonia and for the bilingual Brussels capital region. The bearded, bespectacled Michel is not only one of Europe's youngest leaders but also Belgium's youngest premier since 1840. He began his rapid rise to power in the shadow of his father Louis Michel, a former minister and European commissioner, and has been part of the Belgian political landscape for more than 15 years. His emergence as prime minister despite the fact that his party did not emerge as the largest from the elections is the result of a complicated system of negotiations used by parties in divided Belgium. The separatist New Flemish Alliance won 32 percent of the vote, making it the largest party in its Flanders heartland and in the country as a whole. But its leader Bart De Wever, who is ultimately bent on taking Flanders out of Belgium, has no natural allies in the mainstream parties after he caused the political deadlock of five years ago. In 2010, De Wever balked at cooperating with others without a deal over its demands for more devolution, leading to the 18-month lack of a government. The previous coalition of the bow-tie wearing socialist Di Rupo was based on three parties from the north and three from the south.